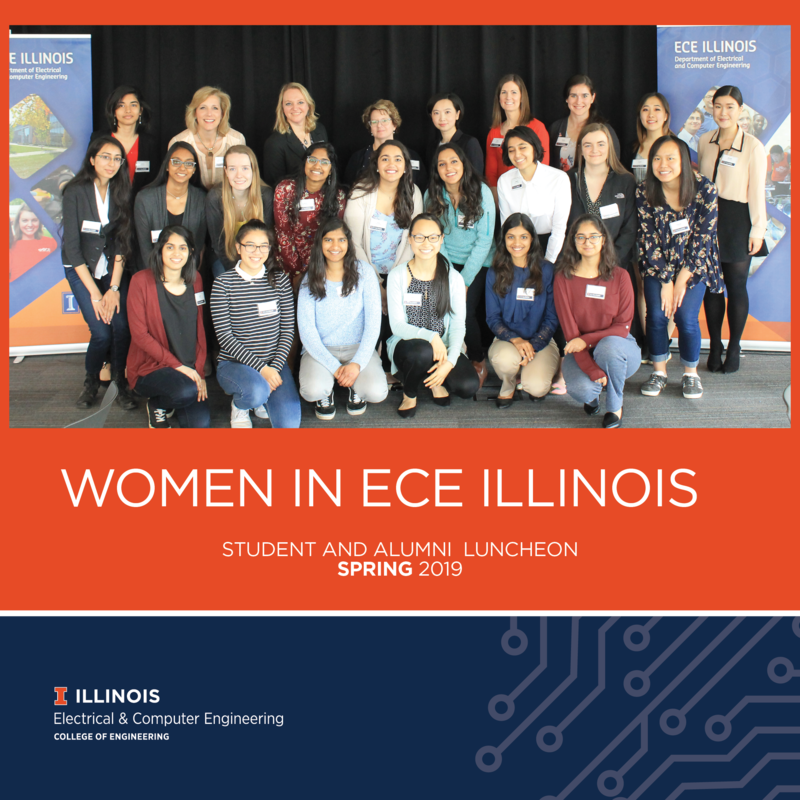 On Saturday, April 13, 2019, the Women in Electrical and Computer Engineering (WECE) at the University of Illinois connected with ECE ILLINOIS alumnae at the WECE Spring 2019 Luncheon. This event was designed to allow for students and alumnae to network, share advice, and discuss their experiences as students and as leaders in the industry. Founded in 2002, WECE is a student organization at the University of Illinois at Urbana-Champaign, dedicated to supporting women within ECE ILLINOIS. To build and strengthen different communities within, the WECE hosts social, technical, outreach, and professional events. WECE provides members with opportunities to connect with others within the department, advance their technical skills, and network professionally. With a strong committment on developing member's technical skills, WECE organizes various events including technical workshops and tech talks by companies such as Square and Google. Additionally, WECE works in cooperation with various companies such as Microsoft and Goldman Sachs to provide WECE members with as many opportunities, internships, and job prospects as possible. More information on WECE at ECE ILLINOIS can be found here.